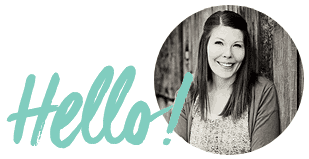 Emily (my friend from college) is here again gracing Bless this Mess with her fun ideas, witty writing, and great pictures. 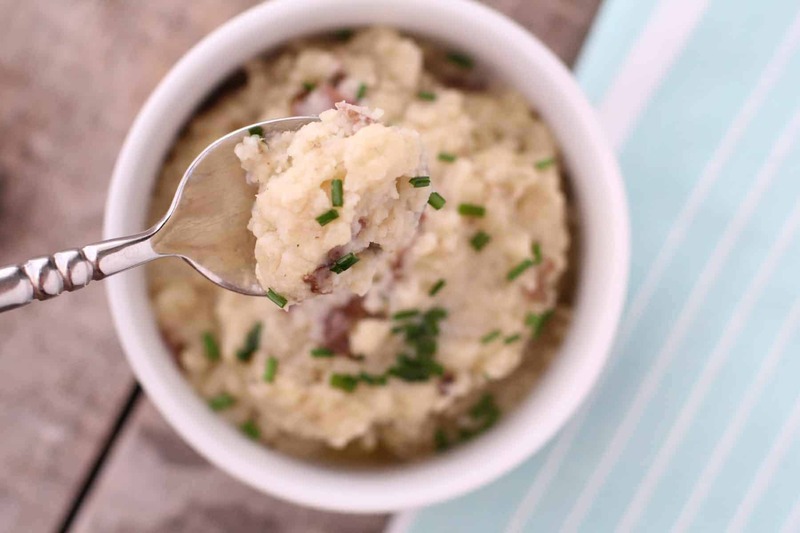 Hope you enjoy this recipe for super easy slow cooker mashed potatoes. 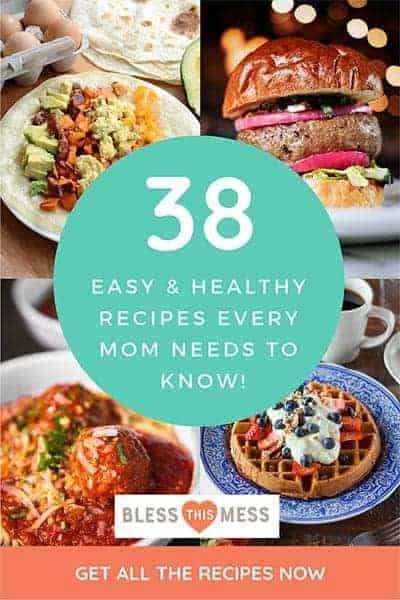 So easy in fact that you don’t even have to peel the potatoes! These have a rustic garlic flavor that will make your taste buds do a party in your mouth in no time! I have never put garlic in my potatoes before, and I have been missing out! My go-to for mashed potatoes is usually just butter, milk and maybe sour cream if I have it on hand. I can’t believe I have been missing out on these finer things in life! You will eat them all day long…like I did. I ate them for dinner last night and breakfast this morning. Weird? Yes. But totally delicious. Just you see. I loved the almond milk (I used original), and frankly couldn’t tell the difference from when I normally use milk. Use what you have on hand. Feel free to leave out the garlic, if garlic isn’t your thing, or simply use less. Or if you don’t have any, try adding ½ tsp of garlic powder instead. Don’t like Parmesan cheese? Try another cheese. You can leave these in the slow cooker on warm all day! If they get a little dry, just stir in more milk! There surely won’t be any of these left over though. To peel or not to peel? Lazy me says do not peel! Both ways are scrumptious. I hardly notice the peels once all the goodness is mashed together in there. No red potatoes? Use any potatoes really – Yukon golds are another creamy option. Serve these with some of the best baked chicken legs and a pan of roasted vegetables for a simple weeknight meal. 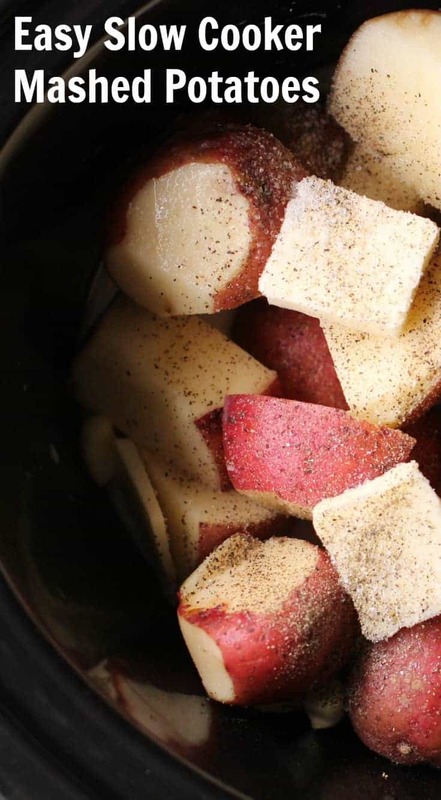 Easy Slow Cooker Mashed potatoes made with red potatoes, milk, and garlic; no peeling needed! 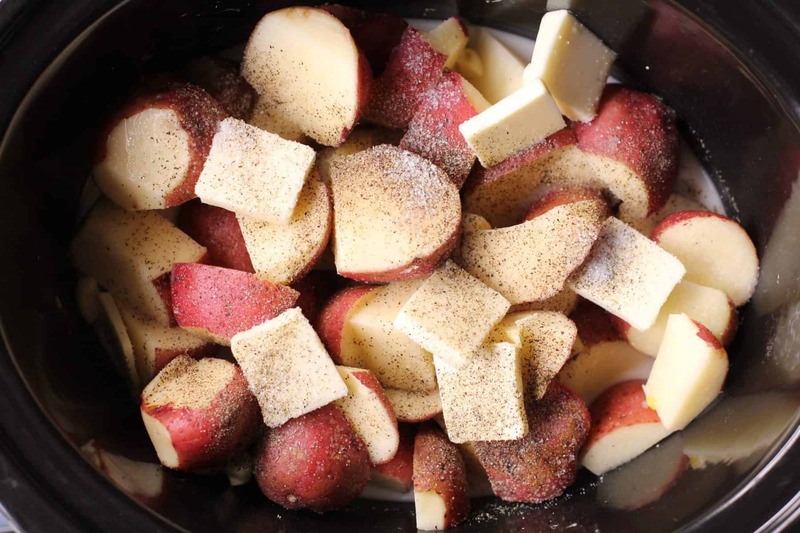 Wash and half your potatoes and add them to your slow cooker. Add the milk, garlic, Parmesan, butter, salt, and pepper. Cook on high for 4 hours or until the potatoes are very tender. When the cooking time is up, add the additional milk or cream and butter. Mash using a potato masher, or whip them up with an electric mixer. I like ‘em chunky, so I opt for a hand masher. Add additional salt and pepper to taste and serve warm with optional chives on top. You may need to stir the potatoes occasionally depending on you slow cooker to ensure even cooking (and to make sure the sides don’t stick or burn). 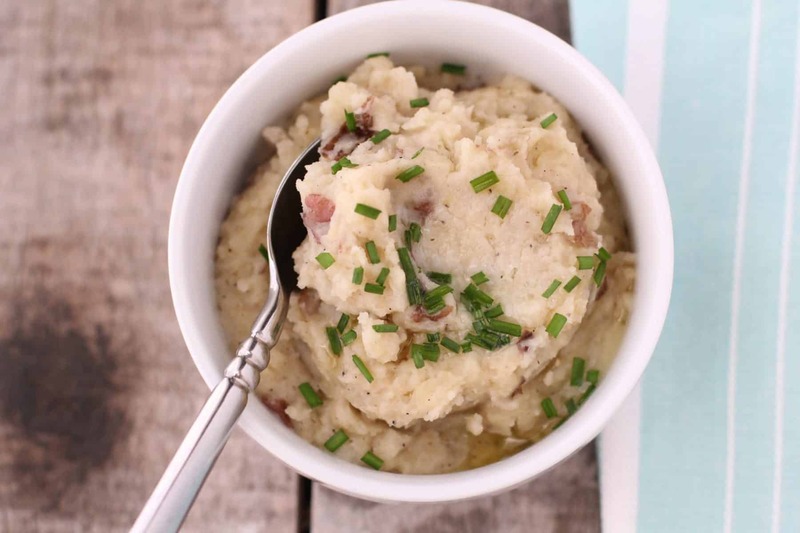 Easy slow cooker mashed potatoes recipe inspired by Lacey Baier over at A Sweet Pea Chef! 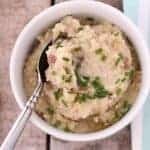 I hope you enjoy these easy slow cooker mashed potatoes for dinner next to your turkey and cranberries, or maybe for breakfast with a side of eggs and orange juice! Okay but really, that just gave me an idea! I have never seen an over-easy egg used like “gravy” on mashed potatoes! Why can’t mashed potatoes be a breakfast thing? We eat hash browns, so what’s the difference? Thanks for the inspiration to try something new for tomorrow’s breakfast! If it’s approved, maybe I’ll snap some shots and call it a recipe! I’m glad we had this chat. Thanks for the inspiration!